We are thrilled to lead the way in bringing world-class interactive property marketing tools to New Zealand, and revolutionise the way our customers buy and sell real estate. Partnering with global digital visualisation specialists DIAKRIT, Barfoot & Thompson is the first in the New Zealand industry to introduce the suite of interactive and engaging marketing tools across our residential listings. “These new tools lift the standard in property marketing, providing a better quality and a more true-to-life online experience with every Barfoot & Thompson listing,” explains Chris Dobbie, Chief Executive Officer. From 1 August 2018 the suite of tools is available at all of our branches. Click here to find out more. The new property marketing packages include high quality, magazine-style photography taken by professional, DIAKRIT-trained photographers to ensure a consistent look and feel. Interactive floor plans: inspiring buyers to ‘mentally move in’ and plan their next home with digital furniture and decor. 360-degree photo panorama tours: inviting buyers for virtual viewings onscreen or using a VR headset, from anywhere and at any time. 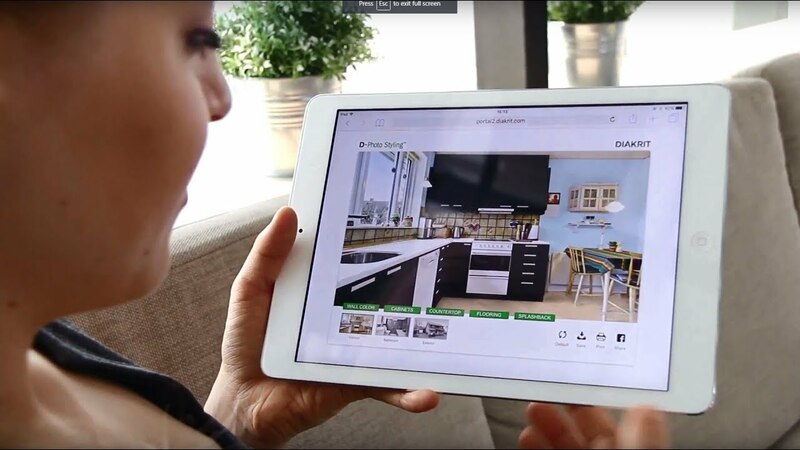 Virtual renovation tools: encouraging buyers to create their perfect kitchen by digitally customising the colour and material of cupboards, flooring, benchtop and splashback. See our interactive tools in action! With strict quality guidelines, there will be no shadow-filled or fish-eyed photography in sight. The focus is on visual clarity, with straight-forward and engaging angles, natural light and colours, and snapshots that give a sense of the home’s true character. It’s not just for multi-million-dollar homes – all of our residential properties will soon use the DIAKRIT tools as part of their marketing plan. From 1 August 2018, the full suite of tools is available through all of our branches. Click here to find out more.